make a difference in building a brand. The Republican needed a fresh concept to attract and retain an 18-34 year old readership. They chose take it Outside to research, design, beta, and develop forward thinking concepts. This global non-profit looks to take it Outside to give it a relevant face here in the United Sates. 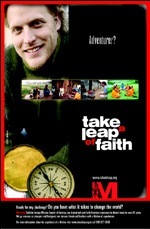 To do so we designed an integrated campaign, which builds awareness and understanding of the organizations work overseas. This insures modern day relevancy in the 21st century. CNE made a strategic decision to become a regional player in the competitive Northeast corridor. take it Outside took on the challenge and spearheaded an identity overhaul, developed a strategic marketing plan and all the creative necessary to successfully propel their launch into this lucrative market. Design and Media services: alternative print or mainstream, outdoor or metro, we develop, research, or just manage the most cost effective media buy.